The PowerAlign Magnetic Camber Gauge measures the Camber angle on the wheel hub or brake disc and allows on-car adjustment to ensure correct wheel alignment. This is a useful tool for setting Camber angles after dismantling and re-assembling of the suspension and is an ideal track day companion. 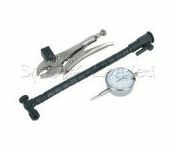 This easy to use magnetic gauge attaches to the hub or brake disc and graduates +/- 6 degrees and comes supplied in a durable storage case. 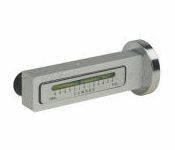 Save on expensive repair costs and down time by using the PowerAlign Magnetic Camber Gauge. Check for ball joint wear and brake disc run-out quickly and easily.Locking pliers secure to any convenient position enabling DTI gauge to be placed against brake disc. 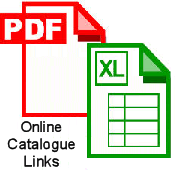 These should be used every time you fit or refit brake discs. Hardly any mechanic can be bothered but it is the correct way to ensure that you get no problems with shaking after a month or 2 of driving and blaming the brake disc quality rather than the poor fitting procedure. Quality Carbon steel, hardened lead screws and cast jaws. Wrap over coil claws so they cannot easily slip for that extra bit of safety. Suitable for use where space under wheel arch is limited. 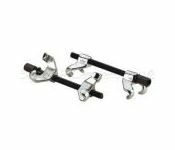 Latest version of the TEIN Adjust Wrench includes more features, and a new Chrome Vanadium finish. Three different arcs are incorporated so they can be used on both current and past TEIN products to adjust spring seats, seat locks, and body locks with 70 -90mm, and 132mm outer diameters. 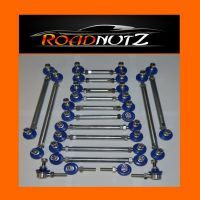 Also includes a square hole for 1/2 inch drive socket wrench, 17mm hex for most damper top nuts, and tip extension for use to hold coilover in place while tightening/ loosening locks. 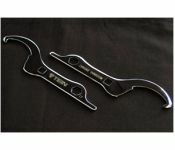 These spanners/wrenches fit all the Tein Coilovers AND ones by Cusco, Apexi, Ralliart, HKS, and many more. Also called Hook Spanners.